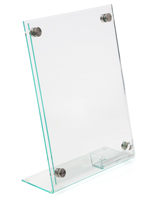 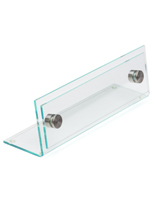 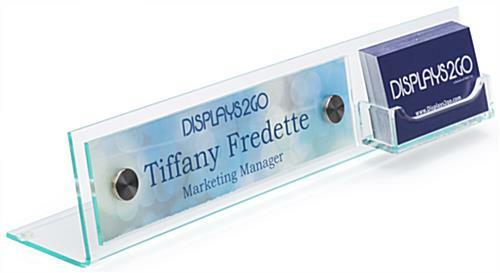 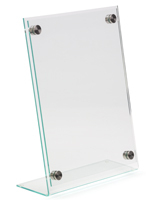 These 8x2 nameplates with card holder feature a modern style that will match any office or professional setting. 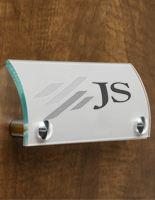 Each personalized name sign is made of durable acrylic with a clear finish and green edging for a sleek appearance. 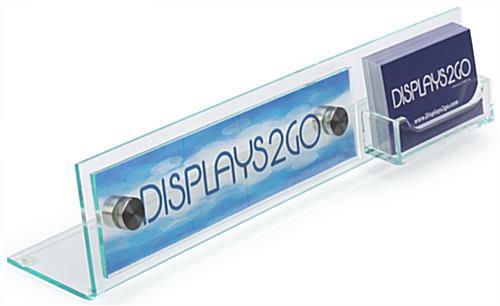 The 8x2 nameplates come with three clear and three frosted film strips that users can use to print custom graphics and messaging. 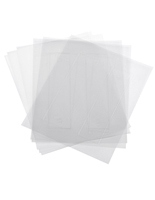 Design templates can be downloaded below. 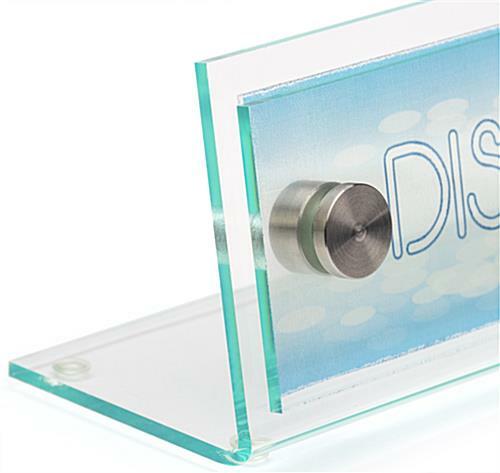 The personalized name plates also feature a pocket for business cards that measures 3.5" wide and 1" deep. 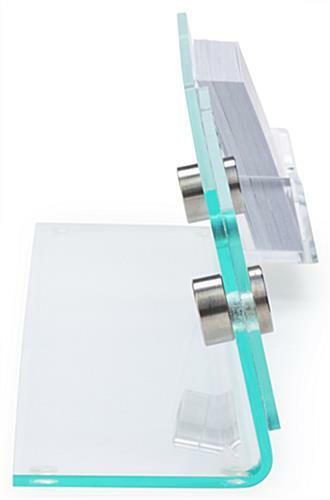 The nameplates with a clear finish have a front-loading design and that is secured with the included silver standoffs. 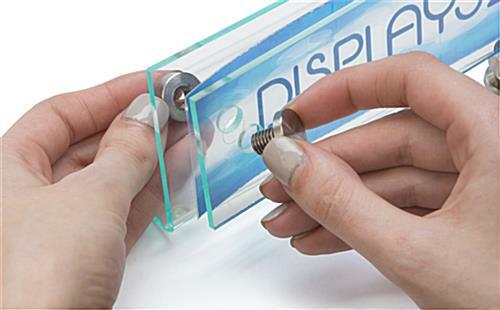 In addition, the office displays have a slanted angle for extra readability. 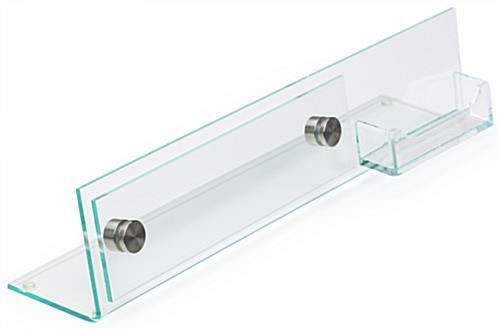 12.8" x 78.0" x 4.8"